Ministry of Christmas is produced by one of the UK’s foremost producers of Christmas entertainment – Ministry of Fun. Ministry of Christmas has now, for the first time ever, been made open to the public by one of the UK’s foremost producers of Christmas entertainment – Ministry of Fun. They have a genuine love of all things Christmas and a belief that every child deserves a touch of magic in their lives. Ministry of Fun is an entertainment production company that formed in 1997. For two decades, they have provided performers and produced shows for audiences of all ages, including live productions for the BBC on subjects ranging from WW1 to the history of space travel. 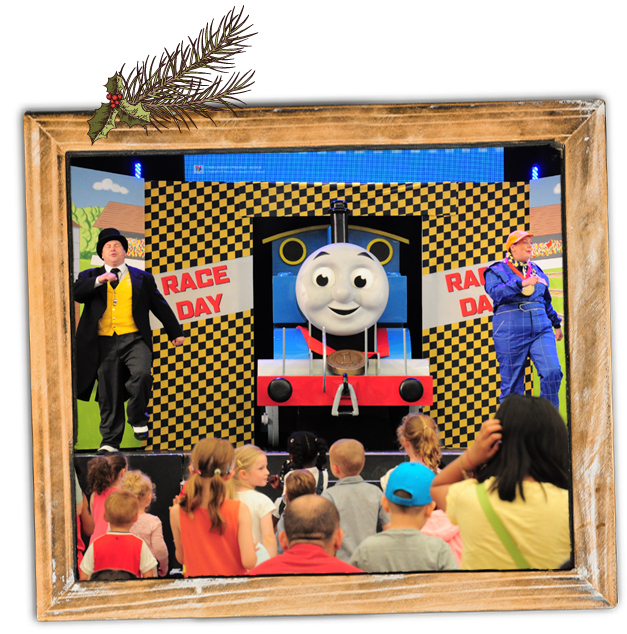 They also recently completed a seventh year of writing and touring “Thomas & Friends” stage shows for Mattel. They have even broken no fewer than 9 Guinness World Records! Most importantly of all however, they are the driving force behind the nation’s oldest and original Santa School. The Ministry of Fun Santa School was founded in 1999 after meeting Father Christmas himself and gaining his approval to train a selection of very special gentlemen to recreate the magic in every way on those very rare occasions that he cannot appear himself. It is the original training school for professional Father Christmases in the UK. Whilst the precise details of Santa School’s training are top secret we can reveal that its classes cover all aspects of the role. 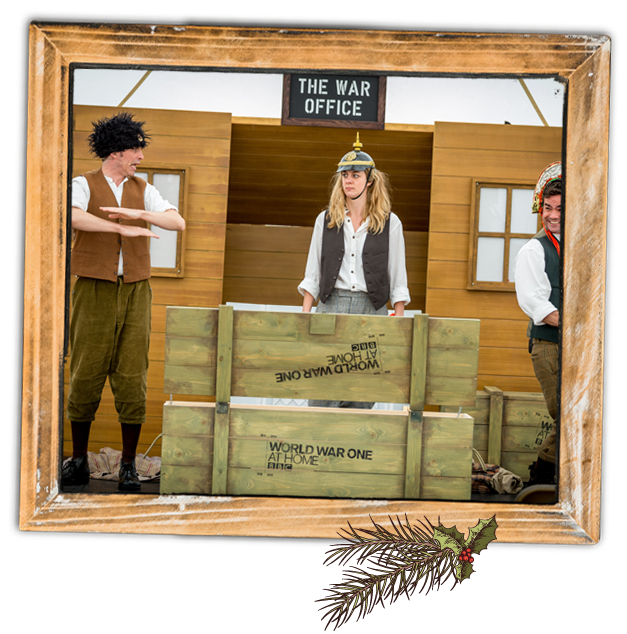 This includes everything from history & characterisation to costumes & role-play, allowing our performers to be prepared for anything and create equal quantities of magic for even the naughtiest or shyest of children. Each Christmas, Santa School features widely in National and International newspapers as well as on television. In 2012 it was even the subject of a Channel 4 TV documentary series “Bad Santas”, in which Ministry of Fun trained several hitherto unsuitable individuals to successfully portray the role of Father Christmas. Whilst the Ministry of Fun’s Santas appear at Grottos, Film Premieres and Department Stores everywhere, it is of course important to stress that the real Father Christmas does exist. He is very much alive and well and living in Lapland! He ONLY calls upon Ministry of Fun on the very, VERY rare occasions that he cannot be in two places at once. Please be 100% reassured that it will be the Real Santa appearing in person at the Ministry of Christmas!